EARLY MORNING ALLEY ARSON: Thanks to Patrick for the photo and tip that an early-morning fire callout near California/Raymond was arson. We confirmed that tonight with SFD spokesperson Kristin Tinsley, who tells WSB via an e-mail response, “Investigators confirmed two recycle bins and one garbage bin were set on fire, along with two rolls of toilet paper inside a porta potty. These all occurred in an alleyway. Total estimated loss for all bins combined is $500. Case referred to SPD for followup.” Earlier in the morning, SFD responded to a dumpster fire at Westwood Village but Tinsley says that was not believed to be related. The burglars got in the house via a semi=open window that was accidentally left open. With the weather so hot, I thought it might be good if you could broadcast a PSA reminding folks that burglars look for open windows and doors. I would really hate for anyone else to be affected in this way. 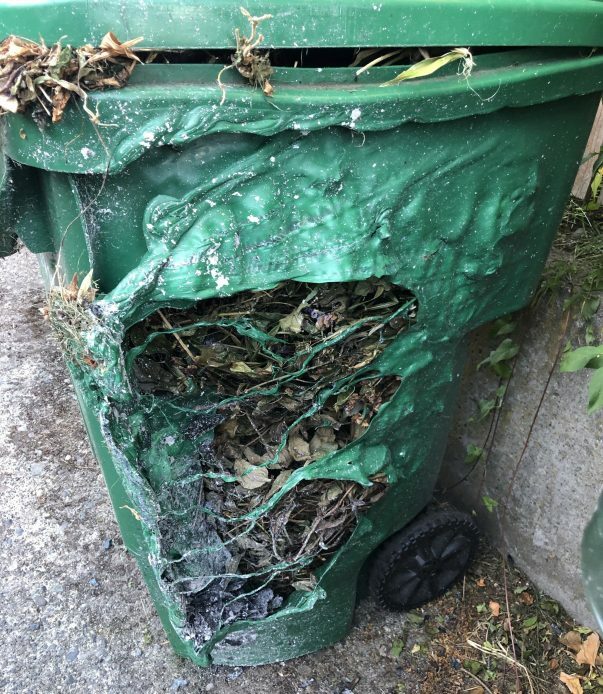 5 Replies to "WEST SEATTLE CRIME WATCH: Alley arson; window warning"
The toilet paper being used to start the first sounds similar to the multiple arson attempts by someone at the apartment building right at CA/Raymond earlier this year – any updates there? Interesting our garage (open in alley) recycle was lit on fire on the 4th, no one around, and sadly no alarms. there needs to be simple, yet complete, enforcement of the laws already on the books…. We found our garbage bin in flames on Sunday morning 7/15 at 4:00am.